Acaulescent geophyte, 70-180 mm when in flower. Tuber turnip-shaped 15-40 mm long and 8-20 mm in diameter. Simple to trilobed or trifoliate to 5-lobed or 5-parted, bright green. Lamina widely ovate, base cuneate, apex obtuse, margin entire, 18-30 x 12-25 mm, adaxially glabrous, abaxially with bristles along main veins, margins usually with short appressed bristles. Small lateral pinnae widely ovate, 9 x 5-6 mm, petiole 10-60 mm, densely covered with appressed bristles. 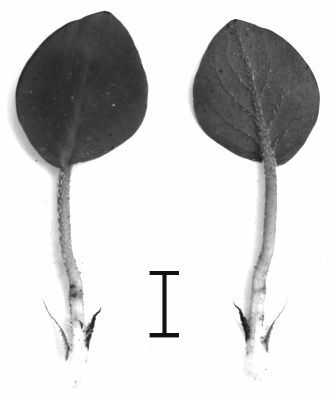 Stipules lanceolate, adnate to petioles for half their length, ca 10 x 1.5 mm. Scape branched, with 3-6 pseudo umbels, each with 4-9 flowers. Peduncle 30-120 mm, densely covered with glandular hairs interspersed with coarse hairs. Pedicel ~0.5 mm. 5, lanceolate, apices acute, reddish brown to green. Hypanthium 9-16 mm. 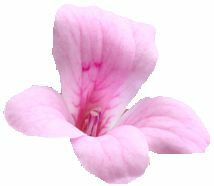 Petals bright pink, oblanceolate, bases cuneate, apices rounded, reflexed at 90o. Posterior two with dark pink markings, 13-20 x 3-5.5 mm, anterior three 12-19 x 2.5-5 mm. 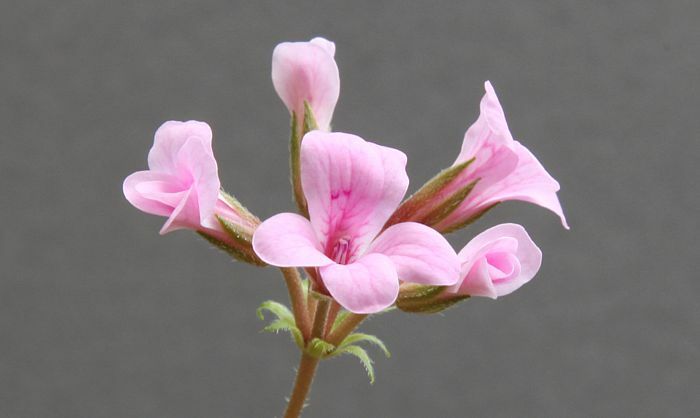 5 fertile, concealed in the floral sheath, posterior 4 mm, lateral two 5 mm, anterior two 7 mm long, pale pink. 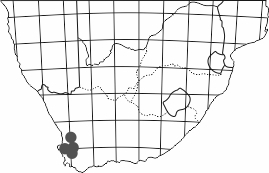 P. chelidonium is found from Clanwilliam to Riebeek-Kasteel, and from Vredenburg to Tulbagh, in clay soil in renosterveld. 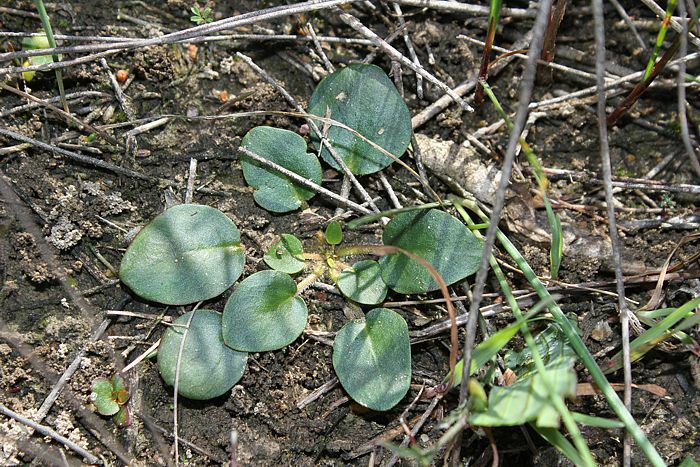 Only small patches of it remain in the Swartland, some of it protected as in the Elandsberg Nature Reserve, above. 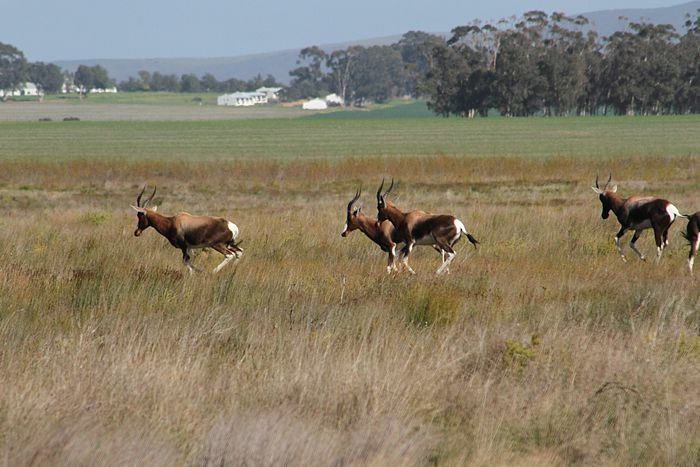 Bontebok still roam wild here, in close proximity to well-off farms, where contemporary agriculture coexists with nature conservation.